Like many countries around the world, people in South Africa do not miss the opportunity to honor fathers by celebrating Father's Day. 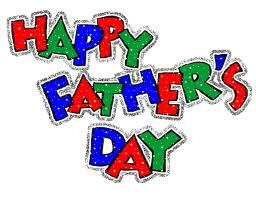 In South Africa too, Fathers Day is celebrated on the third Sunday of June. Marking the beautiful occasion, people express love and affection for their father and thank them for their great support and guidance. As a tradition, children also pamper their father or men like father by presenting loveable gifts like cards, flowers, gourmet gifts, neckties or other any other present their father love to receive. As Father's Day is celebrated on a Sunday, people get all the opportunity to enjoy the occasion with the family. Many people in South Africa go out for picnic, fishing or just for a meal in restaurant. Apart from private celebrations, several social and cultural societies in South Africa host Father's Day celebration to stress on the important role played by fathers in nurturing children and building stronger society.